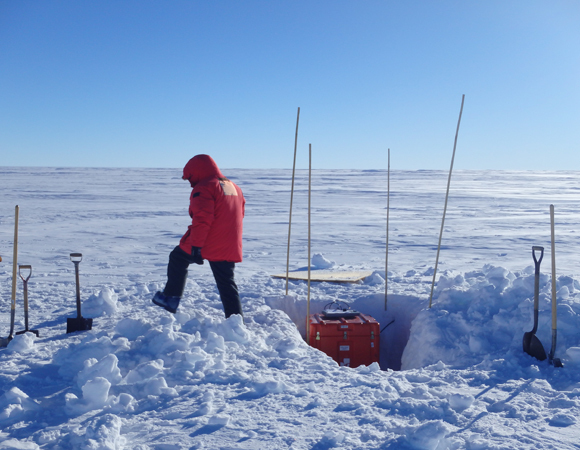 POLENET in Antarctica is a multidisciplinary NSF-funded project examining the geology and geophysics of the Antarctic continent. 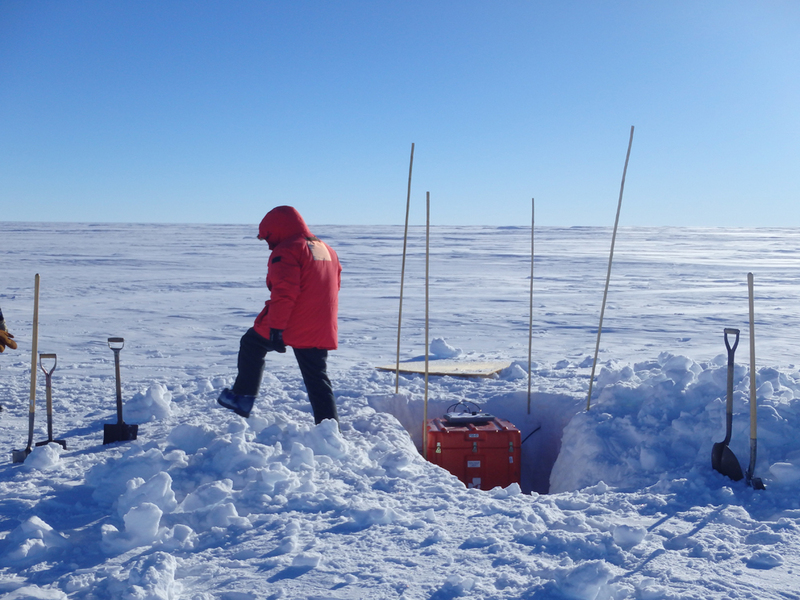 The associated network of autonomous GPS and seismic equipment spans much of the continent, enabling researchers to explore the geological history of the Trans-Antarctic Mountains, the structure of the Antarctic lithosphere, and the dynamics of continental ice sheets. 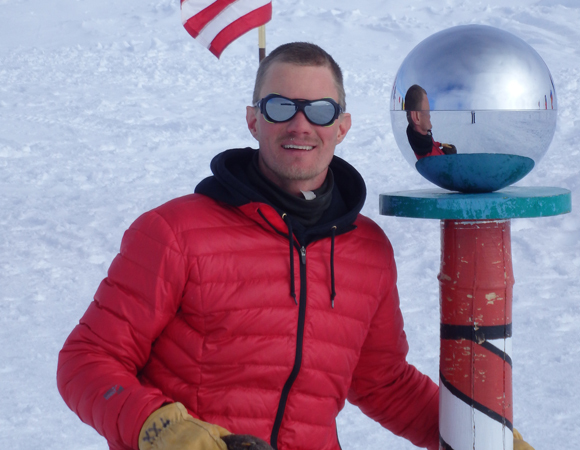 UNAVCO Engineer Ryan Bierma was deployed to the South Pole with Patrick Shore of Washington University and Jason Hebert of IRIS/PASSCAL to service sites in this network. 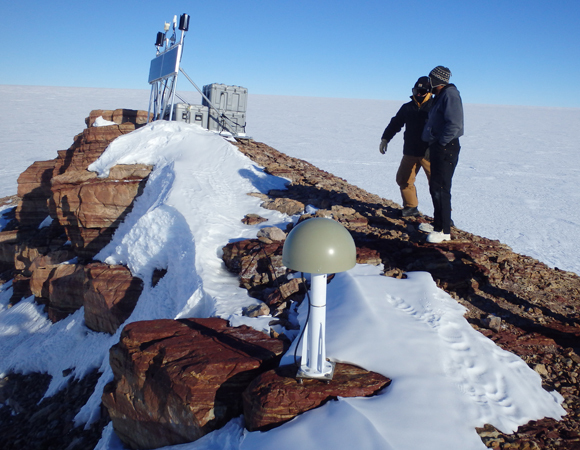 A total of 4 GPS stations and 11 seismic stations received maintenance visits from the Pole during December 2013. The work consisted primarily of battery swaps, and repairs to power systems and data communications. 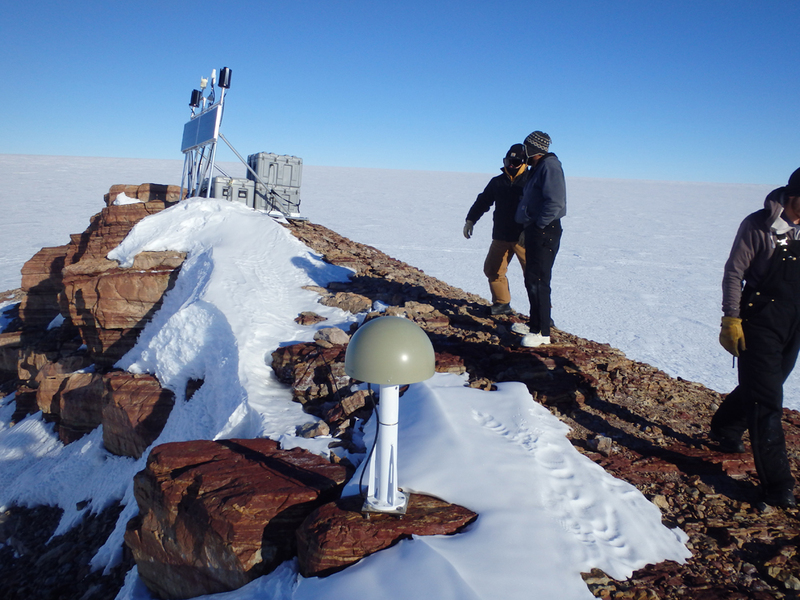 The POLENET Antarctic Network (ANET) has produced a valuable dataset of GPS and seismic measurements since 2007. These sites endure some of the harshest weather conditions on the planet, and consequently many must be visited at least every two years. 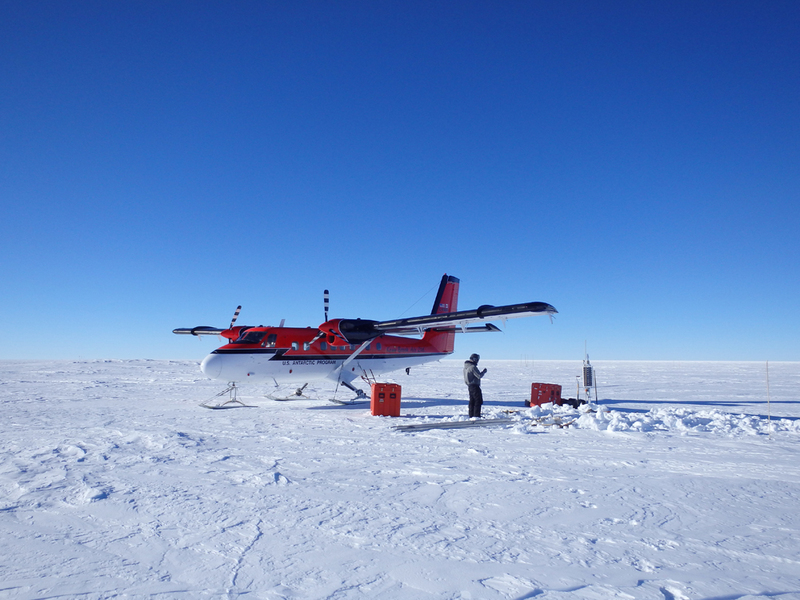 The South Pole provides an ideal logistical hub for servicing geophysical stations that are up to 400 miles away. 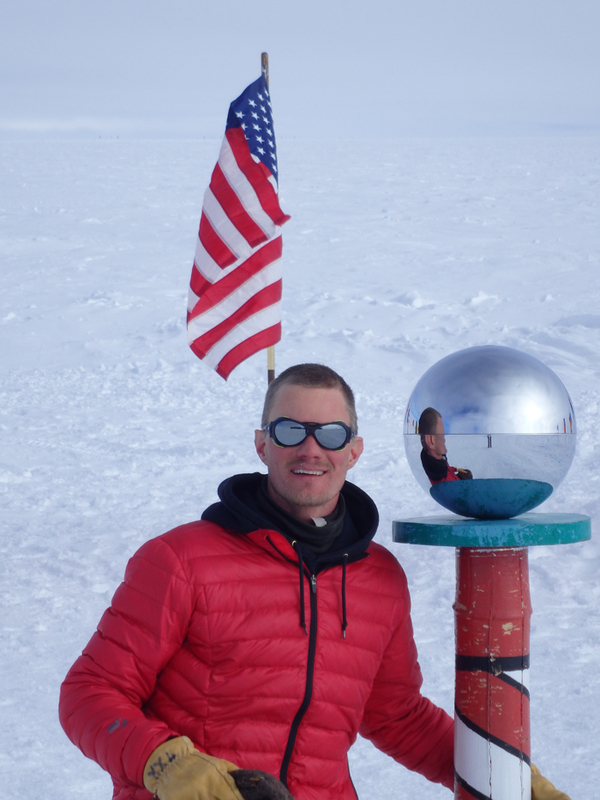 Working at the South Pole involves a great deal of preparation for safety. The summertime temperatures ranged from -10F to -30F, with winds rarely falling below 10 mph. The constant sunlight can cause snow blindness if proper eye protection isn’t used. 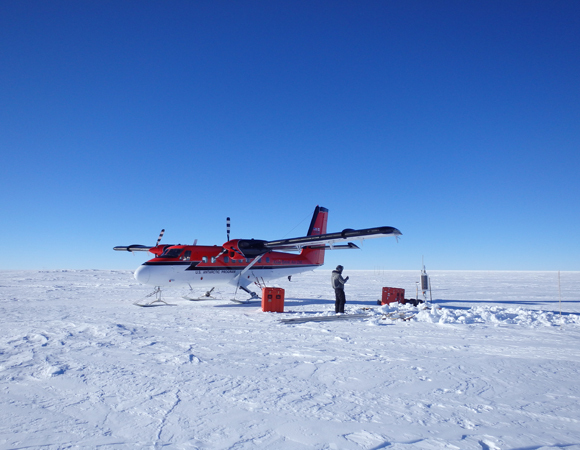 Trips to remote field sites are made only when the conditions are optimal. While very rugged, the geophysical stations are still vulnerable to the extreme conditions. High wind can damage solar panels and wind turbines. Electrical connectors and wires become brittle in the cold and can easily break if handled roughly.